Melt 2 tablespoons margarine and fry the onion there. Then add the flour, stirring constantly. Add the cream, rum, mushrooms and mix well. Fry the steaks in the remaining margarine and season. 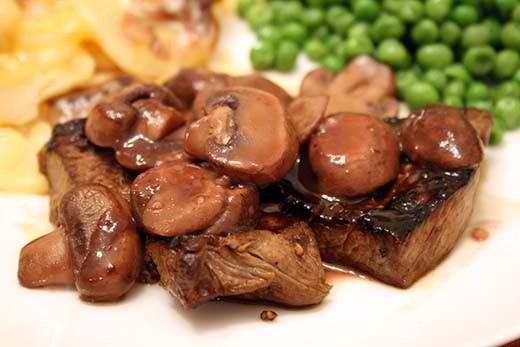 Remove from heat and you can pour the mushroom sauce on top. You can serve with cooked vegetables or rice.